Widely cultivated on the whole territory of Northern Sardinia, in particular in the territory of Usini, because of its characteristics the Cagnulari grapes variety was commonly used as a blending wine. From the ’60s onwards the areas under Cagnulari began to decline in favor of other varieties, more productive and less susceptible to fungal diseases. Way back in 1970, in contrast with other local producers, Giovanni Maria Cherchi begins the work of restoration and enhancement of Cagnulari. With great skill and care in the vineyard and then in the cellar operations, our founder has brought to the attention of the public the untapped potential of this great grape. Cagnulari vine has a pentagonal and five-lobed leaf with red veins on the upper side. The bunch is compact, medium-large, has a conical or pyramidal shape, is elongated and often has one or two well-developed wings. The berries are small, with egg-shaped, and the skin is fine, very delicate, waxy and black, while the pulp is colorless, consistent and neutral in the flavor. Cagnulari grapes has a high average content of anthocyanins (the coloring matter) and extractable polyphenols from seeds while the content of extractable polyphenols from the peel is a medium level compared to other varieties. Normally, the harvest period is the second half of September. The thirty years of experience in the management of the vineyards planted with this difficult grape allowed us to understand the positives and limit the negative ones. We are producing wine with 100% Cagnulari since 1970, and this knowledge has allowed us to obtain very balanced and enveloping Cagnulari wines, with a refreshing and never intrusive herbaceous component it blends with the fruity and floral sensations. The minerality and flavor of our Cagnulari is linked both to the chalky texture of our vineyards and to the short distance of our vineyards to the sea. 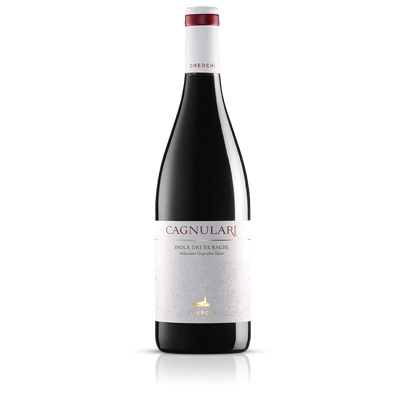 Our Cagnulari on average are medium-bodied, bright ruby ​​red color and have delicate notes of cherry and raspberry which is flanked by aromas of herbs and minerals due to aging. 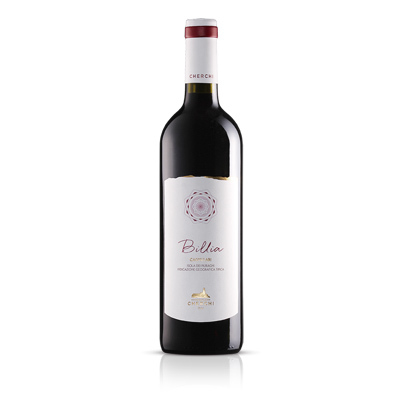 In order to enhance the potential and exuberance of this grape variety we separately pick the slightly over-ripe grapes of our oldest vineyard. 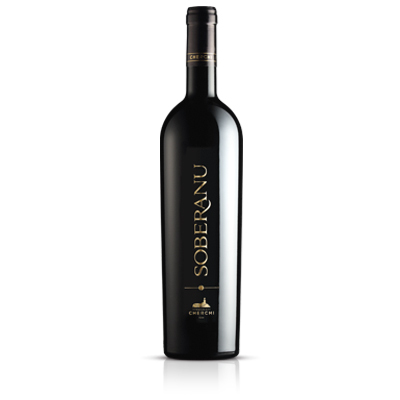 Then we obtain the Soberanu, a wine of great structure and rich in aromas.